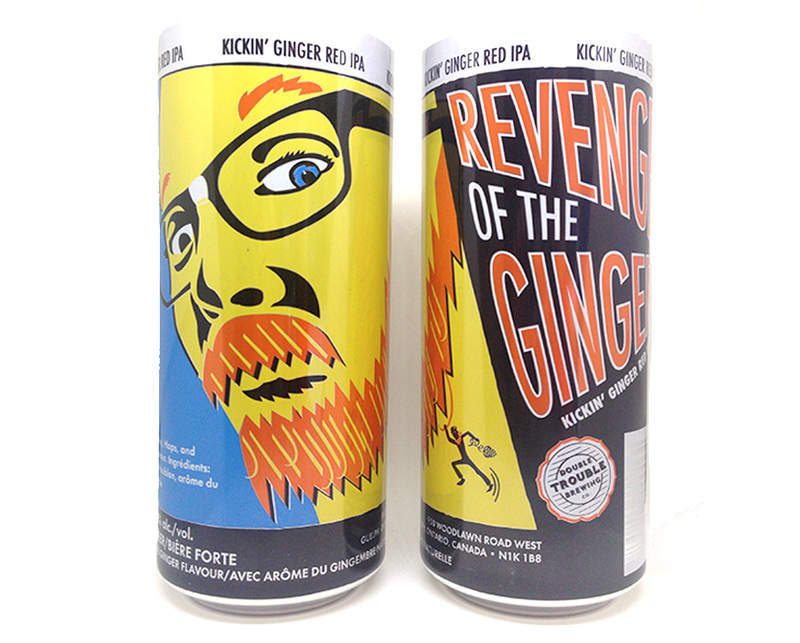 Super happy to share the design for Double Trouble Brewing Co’s newest seasonal; Revenge of the Ginger, kickin’ ginger red IPA. I illustrated the co-founder of the company, Nathan, as the primary element on the can. It’s simple, dynamic and is off to a good start. Fun!